Push notifications can help you dramatically grow your business by driving traffic and boosting conversion. This is easily done with PushBots in a few-minutes set-up! 2. Website URL, it has to be HTTPS and hit enter. 3. 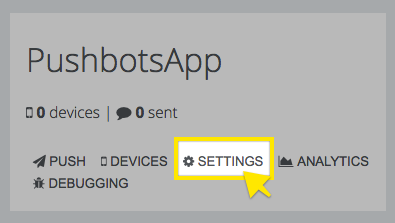 Upload website default notification icon. You should update gcm_sender_id if you've created your own ID in step 1. 2. Update https://yoursite.com with your domain. 3. 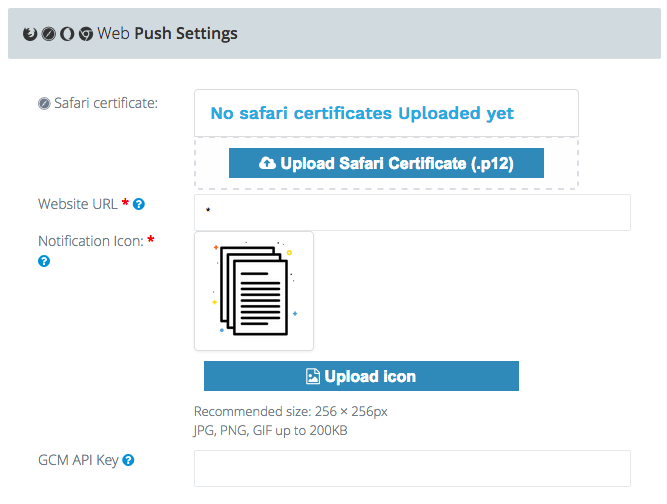 Update safari_push_id if you've generated your own certificate. [Safari only].